Can you endure non-stop action for 27 hours and 30 minutes to show yourself worthy of being called Earth's mightiest movie-goer? If your answer is yes, then suit up and assemble at Regal Cinemas Atlantic Station for the Ultimate Marvel Movie Marathon. 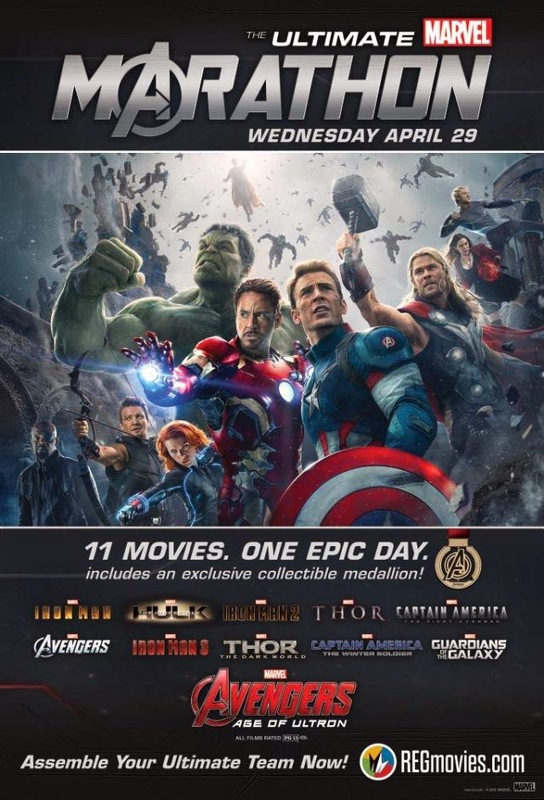 Starting at 6:45PM, 28 April 2015, Regal Cinemas will screen every single movie in the Marvel Cinematic Universe; beginning with Iron Man and ending with The Avengers: Age of Ultron. Tickets are on sale now for this epic test of endurance. The price? $65 or roughly $6 per film. You've become part of a bigger universe. You just don't know it yet.